At UPES we believe that a mix of students from across the globe will lead to a more enriching experience for students and faculty alike. With an emphasis on innovation and exploration, UPES is working to foster an open and all-inclusive culture that will help students adapt to an increasingly global professional environment. UPES looks forward to welcoming students from all over the world. Non-Resident Indians (NRI's) or dependents of Non-Resident Indians who have studied and passed qualifying examinations from schools or colleges outside India are defined as International Students and entitled to enrol under this category. Dependents of NRI's studying in India are not defined as NRI/International students. UPES will review the student's application and required supporting documents. 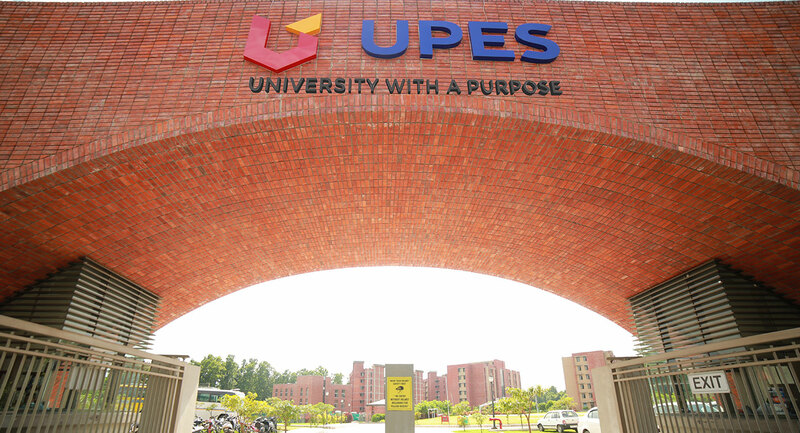 If found eligible, UPES will issue a provisional offer of admission letter. Note: UPES may also request an interview. If the applicant is outside India, this may be by phone or online, the cost of which will be borne by the applicant. Secondary & Higher Secondary School certificate and mark sheets (equivalent to class 10th & 12th under the Indian System). Official transcripts/transfer certificate from Institution last attended. Passport and student visa valid for the duration of study at UPES. PIO/OCI card is applicable in the case of foreign passport holders of Indian origin. International students who wish to study in India must obtain a valid Student Visa before travelling to India. Please make enquiries at the Indian Consulate/Embassy/High Commission in your country/country of application to ascertain the correct procedure for obtaining the necessary visa for the period of study of your program at UPES. Please also make enquiries regarding the length of time necessary to obtain the visa. All international students are required by law to register with the Foreigners Regional Registration Office (FRRO)/local police authorities as per regulation of the Ministry of External Affairs, Government of India. At present, this must be within 14 days of arrival in India but please check this information with your Consulate/Embassy/High Commission before departure as these rules are subject to change. Students must comply with visa rules and registration requirements and keep abreast of any changes. Accordingly, students are responsible for ensuring that their visas are valid throughout the period of study at UPES and to maintain their registration with the FRRO/local police. Students can request assistance from UPES for preliminary registration formalities in Dehradun. B. Tech. + LL. B.
Clarification on B. Tech. programs is given in Annexure II. Note: Students of BBA Aviation Operations must pay the applicable IATA course fee (approx. USD 560/INR 40,000) along with the annual fee 2019. 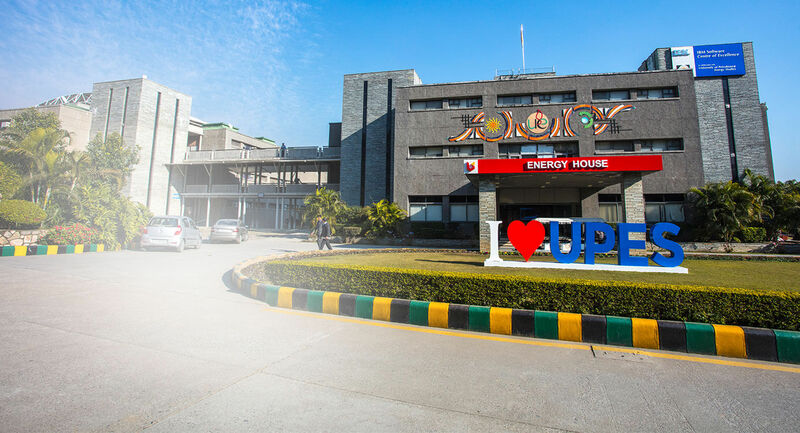 Industrial Tour Charges – mandatory short and long duration industrial tours provide first-hand exposure to industry for all students of full-time UPES programs. Note: If air travel is necessary, there may additional charges which the student will have to pay prior to the commencement of the tour. Personality Development Program Fee. To improve communication and soft skills, all students must attend the Personality Development Program organized by UPES. Academic Computing Fees – Academic Computing fee includes maintenance of the hardware, providing licensed software's and internet bandwidth cost for the entire duration of the program. However, it is mandatory for each incoming student to be equipped with a tablet or laptop conforming to the minimum specifications of UPES which will be detailed at the time of admission. Refundable (interest free) Security Deposit – After the successful completion of the registered program, the amount of USD 285/INR 20,000. The above fee is also inclusive of the Tuition, Examination, Library and Academic Services fee. Note: In the event of any taxes/ levies on fees by the Central/State/Local Authorities/Overseas Authorities from time to time, these will be borne by students. Limited on-campus accommodation is available on a first come first serve basis with separate hostels for boys and girls. Hostel accommodation is full board and includes meals (both vegetarian and non-vegetarian). Non-vegetarian is served twice a week on fixed days. However, food courts in the campus offer non-vegetarian food daily which is available at a nominal cost. All accommodation is on a triple sharing basis. Fees quoted are for the academic year 2019-20. A refundable security deposit of USD 145/INR 10,000 is payable on the reservation of hostel accommodation. Note: Students who have confirmed on campus hostel accommodation must provide a copy of a current medical certificate at the time of payment of fees. The original should be produced at the time of registration on campus. A student registered in the on-campus hostel accommodation who withdraws at any point of time during the academic year will not be entitled to hostel fee refund. If his/her vacant accommodation is allocated to another student, a proportionate refund may be considered. UPES assists international students to reserve off-campus hostels. There is a broad spectrum of accommodation and facilities available with the corresponding variation in fees. On arrival, students must pay the required fees and security deposit directly to the service provider.